Kaohsiung City Bike with "Nulife Bubble Figures"
When was your last time riding the bicycle? Walking away from the tall building, putting down the “ding dong” cellphone, and riding the bike not only makes your hair blown and your cheek stroke lightly by breeze, but grabs the view of southern Taiwan. Whatever you want to go or stop, you can decide by your own. Casual bicycling trip brings your life a sense of happiness! Sunnano Biotech Inc ., cooperates with Kaohsiung Government and promotes the LOHAS concept for the bike trip. Sunnano’s employees are always encouraged to balance their work and leisure time. Sunnano Biotech Inc., was inspired by the BMW trip mode which has been promoted abroad for a long time. BMW is an acronym blended by the three words; that is, Bike, Motro and Walk. The BMW trip mode especially goes for southern Taiwan. When riding the bike not only does the zero carbon emission, but it is easier to grab the beautiful view of southern Taiwan. Even the red bricks have their own story. On the contrast, driving can not park at driver’s will and go whatever they want because it needs to find the parking space. Therefore, visiting Kaohsiung by train, Metro, C-Bike is convenient. In this way, it can reduce the carbon dioxide emission but do a deep travel. 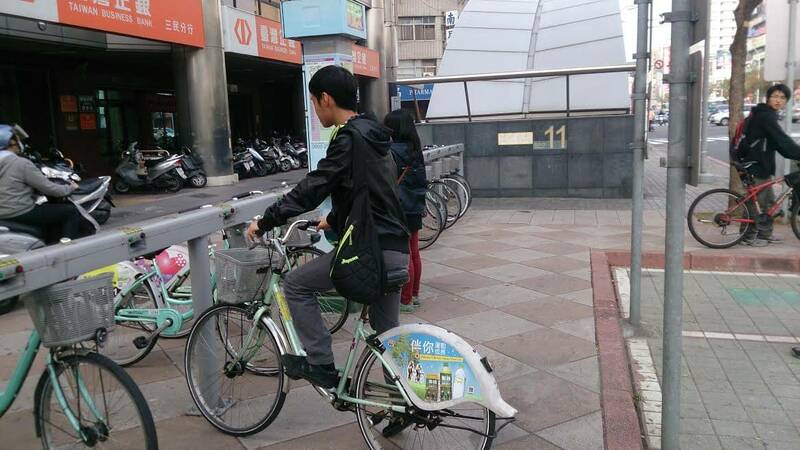 Sunnano Biotech Inc., pasted the Nulife Bubble Figures on the bicycles in order to promote the Bicycle LOHAS Trip. The Nulife Bubble figure will accompany riders going through the azure beach, bustling Liu-He Tourist Night Market, and culturalPier-2 Art Center-Exhibitions. The Kaohsiung City is surrounded by the Nulife Bubble figures. If you find the Nulife Bubble Figure, do not forget to take your cellphone and scan the QR code for the sales price.